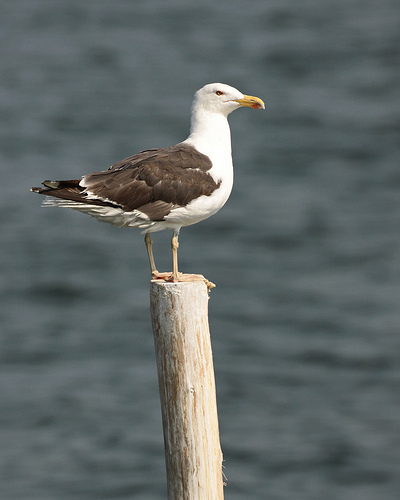 The Great Black-backed Gull is the largest gull breeding in western Europe, be it in small numbers. In autumn or winter one is more likely to see it. Of impressive appearance, with totally black upperwings and a large stately head. 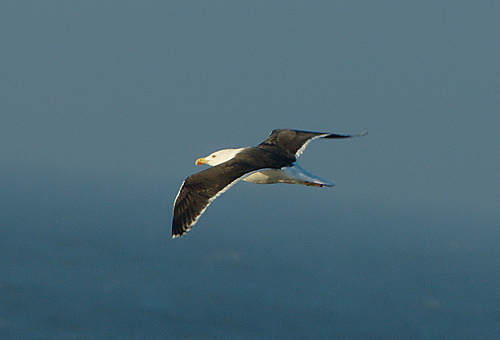 The Great Black-backed Gull has black wings, the Lesser version has dark grey wings. The Great Black-backed Gull is also much larger. The wings of the Great Black-backed Gull are black. The Herring Gull has grey wings.